SEARCHING FOR A CHILD PSYCHOLOGIST IN THE RESEARCH TRIANGLE PARK (RTP), NC? Although we're child psychologist specialists located in Cary, NC, the Wynns Family Psychology office is only 15 miles from the heart of the Research Triangle Park (RTP), NC. Additionally, Morrisville, NC is only 5 miles away, Apex, NC is only 6 miles, Raleigh, NC is 10 miles, Holly Springs, NC is 10 miles, Garner, NC is 12 miles, and Fuquay-Varina, NC is 15 miles. Our child therapy expertise is even convenient to the heart of Durham, NC (20 miles), and Chapel Hill, NC (just a bit further). As Research Triangle Park area child therapists, we cover a broad range of therapy and testing services, including counseling for children, adolescents and teenagers. And while location is a factor when choosing a therapist, finding the "right" psychologist for child therapy and testing is equally important, if not more so. We take pride in providing a comfortable and engaging environment, where your child can grow and flourish. Wynns Family Psychology also realizes our expertise in solution-focused goals is critical towards resolving and managing your child's issues. We value your time and commitment to your children. And it's not only our goal to provide your entire family with guidance, but to make you to feel completely welcome, whether you're local, coming from a different county, or even a different state. Our RTP child evaluation services include IQ evaluations, child achievement assessments, gifted child testing, child learning disability assessments, ADHD (Attention-Deficit/Hyperactivity Disorder) child evaluations, early entry to kindergarten testing, childhood depression testing, Asperger’s Syndrome evaluations, and autism assessments. Click here to view a full list of our RTP area evaluation services for children, adolescents and families. Our RTP NC child therapy experience and expertise includes children depression issues, adolescent / teenager school issues, adolescent conduct and behavior problems, childhood anxiety and phobia therapy, child anger issues, childhood OCD (Obsessive Compulsive Disorder), teenage self-esteem issues, and social skills problems with children. Click here to view a full list of our RTP NC area therapy services for children, adolescents and families. So if you're looking for a Research Triangle Park child psychologist, take a look through our site and then give us a call. Call (919) 805-0182 or email Info@WynnsFamilyPsychology to learn more about services or to schedule an appointment. 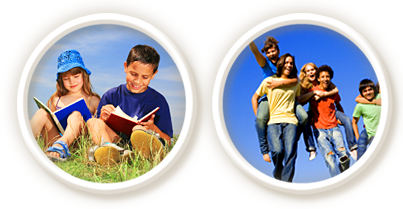 Wynns Family Psychology is a child psychologist / therapist practice in the Cary NC and Research Triangle Park NC areas.